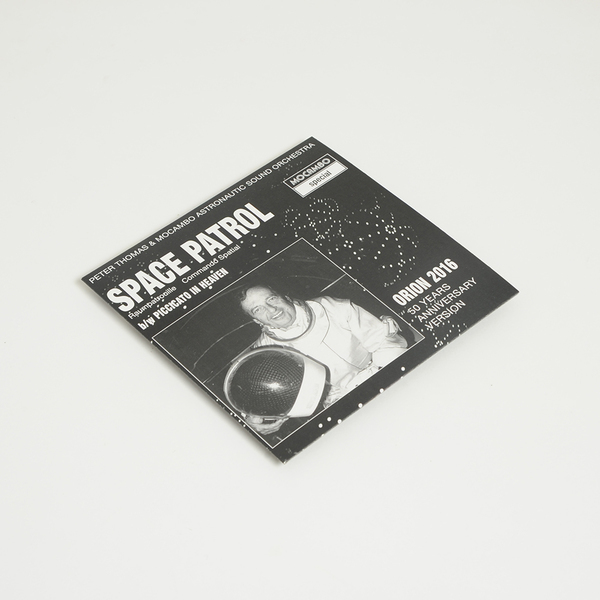 “Space Patrol was the first German science fiction television series. Its seven episodes were broadcast by ARD TV, the first episode being aired on September 17th 1966. Peter Thomas composed and recorded the original score, which has become a soundtrack classic and collector’s item among rare groove afficionados since its original release. 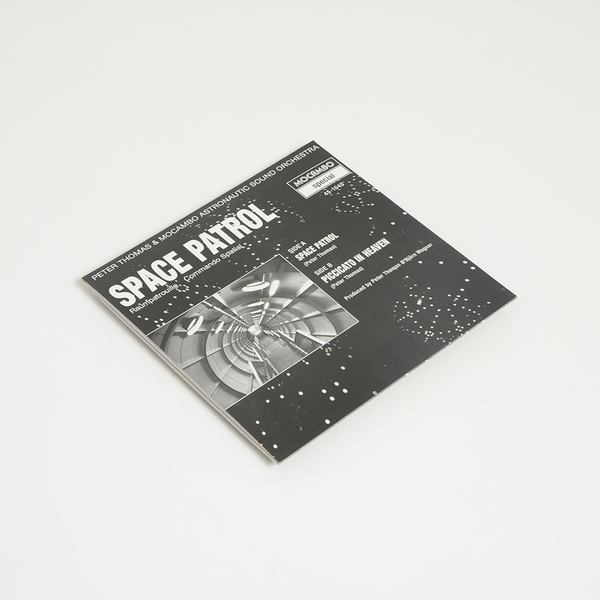 The music, floating between avant garde jazz, big band beat and spaced-out psychedelia, set a new benchmark in the history of film music and science fiction scores and became one of Thomas' best known works. The title theme is the first known piece of music in pop history to feature a vocoder, a device that until then had exclusively been used for voice encoding in military warfare. Peter Thomas borrowed a device from the Siemens factory to process his voice for the recording of the countdown. Now, 50 years on, The Mighty Mocambos teamed up with the legendary musical mastermind a recorded an up to date, truly global and funky 2016 version in tribute of the original theme. 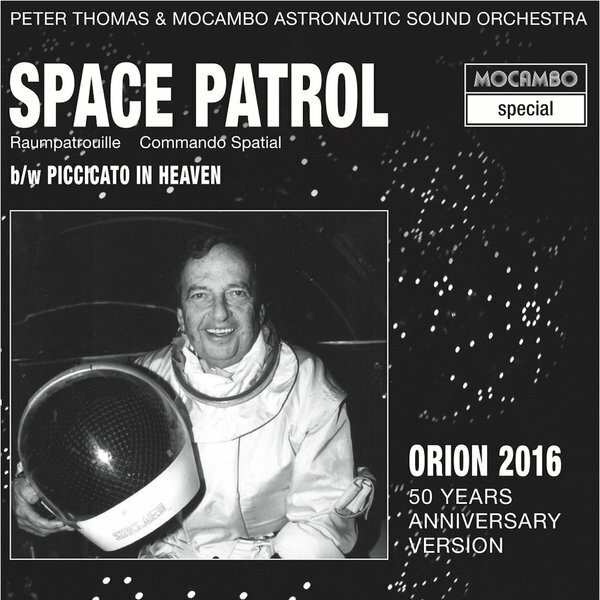 “Space Patrol (Raumpatrouille)” is the only official recording of the track released for this anniversary and authorized by Peter Thomas, who even plays on it himself. To give this 50 years version a new twist, the specially formed Mocambo Astronautic Sound Orchestra adds steel band orchestration to the massive brass and funky rhythm section."